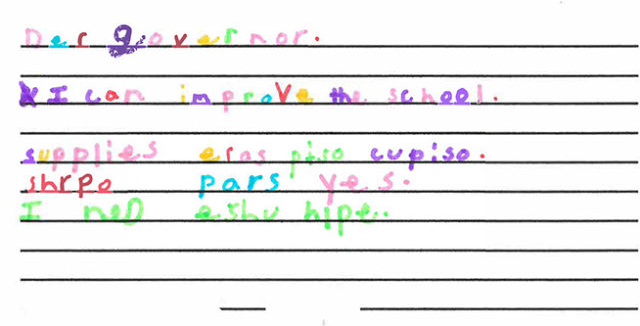 Can a school in California where only one fourth-grader is able to read at grade level be violating students’ constitutional guarantee to a basic education? 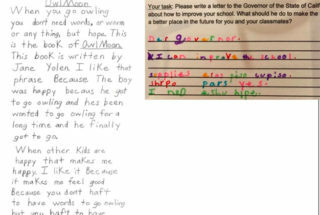 A lawsuit could get the green light within days to move forward with its claim that the state’s Department of Education is depriving low-income students equal access to learn to read and write. The suit claims to be the first in the United States to seek recognition of the constitutional right to literacy. Superior Court Judge Yvette Palazuelos will rule by next Tuesday on the state’s petition to dismiss the lawsuit. She heard both parties’ arguments last week in Los Angeles. That class-action lawsuit, Gary B. v. Snyder, claimed that literacy is a right guaranteed by the U.S. Constitution. The suit represented seven students attending Detroit public schools and sought literacy reforms in Detroit’s school system on instruction and intervention. It was filed by the same Los Angeles-based law firm that is behind the California case, Public Counsel, which said this week that it plans to appeal the Michigan ruling. Ella T. v. The State of California was filed in Los Angeles in December 2017 on behalf of 10 students — mostly low-income and students of color — attending three schools in three districts: LA Unified’s La Salle Avenue Elementary, Van Buren Elementary School in the Stockton Unified School District, and Children of Promise Preparatory Academy, a charter school authorized by Inglewood Unified. 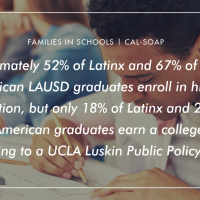 Two advocacy organizations are also plaintiffs: Los Angeles-based CADRE, a community-based organization in South Los Angeles led by African-American and Latino parents of children attending LA Unified schools, and Fathers & Families of San Joaquin in Stockton. Among the 200 largest school districts in the country, California has 11 of the lowest-performing 26 districts on measures of literacy and basic education, according to the lawsuit. Stockton Unified School District is the third lowest-performing district on that list. students have enough trained teachers who can teach the curriculum and be able to provide individualized intervention when necessary. teachers get the classroom resources and professional development they need so they can deliver meaningful literacy instruction. parents are included in their children’s literacy education and schools communicate with them and give them the tools they need to help their children. schools provide conditions that allow for learning, such as social-emotional support. LA parent voice: What do I do when educators don’t believe my child can learn?